Move the pink vertices of this quadrilateral around to form a PARALLELOGRAM. In the applet above, use the tools of GeoGebra to show how/why the quadrilateral you formed is indeed a parallelogram. In the space provided, explain how your results illustrate this quadrilateral is a parallelogram. Move the pink vertices of this quadrilateral around to form a RHOMBUS (that is NOT a square). In the applet above, use the tools of GeoGebra to show how/why the quadrilateral you formed is indeed a rhombus. In the space provided, explain how your results illustrate this quadrilateral is a rhombus. Move the pink vertices of this quadrilateral around to form a RECTANGLE (that is NOT a square). Try to do so in such a way any pair of opposite segments is neither horizontal nor vertical. 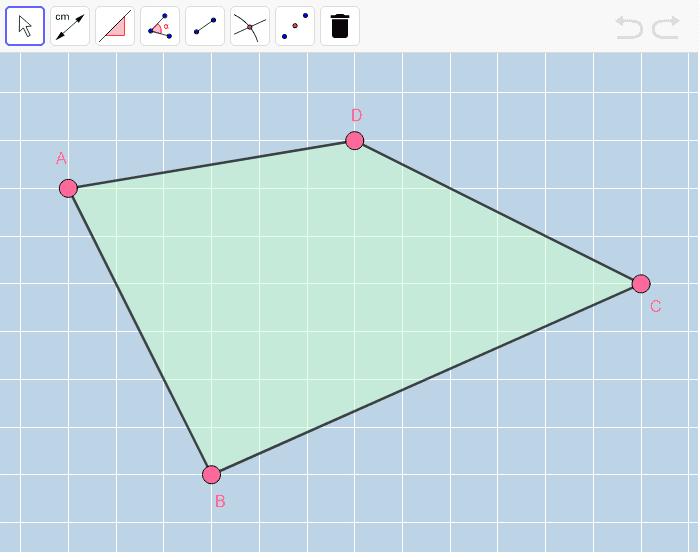 In the applet above, use the tools of GeoGebra to show how/why the quadrilateral you formed is indeed a rectangle. In the space provided, explain how your results illustrate this quadrilateral is a rectangle. Move the pink vertices of this quadrilateral around to form a SQUARE. Try to do so in such a way any pair of opposite segments is neither horizontal nor vertical. 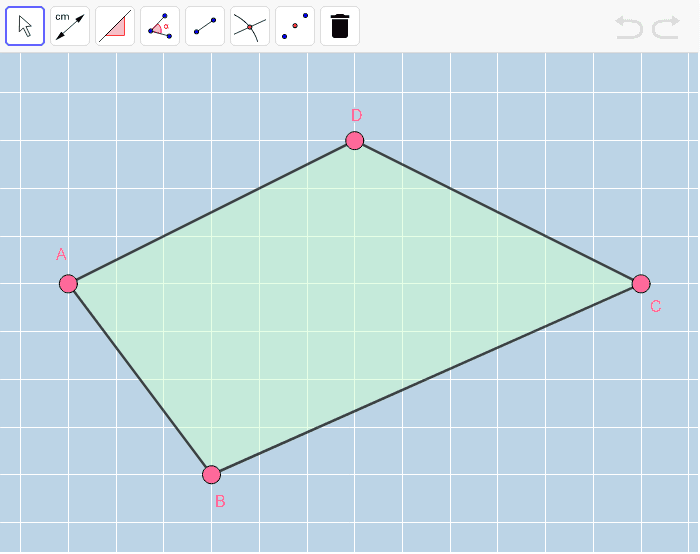 In the applet above, use the tools of GeoGebra to show how/why the quadrilateral you formed is indeed a square. In the space provided, explain how your results illustrate this quadrilateral is a square.